This fascinating question was posed by the 11-year-old son of one of my Maidstone landlords when they both popped into my offices before the Christmas break (doesn’t that seem an age away now!). I thought to myself, that over the Christmas break, I would sit down and calculate what the total value of all the properties in Maidstone are worth … and just for fun, work out how much they have gone up in value since his son was born back in the autumn of 2005. In the last 11 years, since the autumn of 2005, the total value of Maidstone property has increased by 47% or £4.18 billion to a total of £13.08 billion. Interesting, when you consider the FTSE100 has only risen by 30.78% and inflation (i.e. the UK Retail Price Index) rose by 37% during the same 11 years. When I delved deeper into the numbers, the average price currently being paid by Maidstone households stands at £285,727.… but you know me, I wasn’t going to stop there, so I split the property market down into individual property types in Maidstone; the average numbers come out like this ..
... yet it got even more fascinating when I multiplied the total number of each type of property by the average value. Even though detached houses are so expensive, when you compare them with the much cheaper semi-detached houses, you can see detached properties are not a match in terms of total pound note value of the semi-detached houses. So, what does this all mean for Maidstone? Well as we enter the unchartered waters of 2017 and beyond, even though property values are already declining in certain parts of the previously over cooked Central London property market, the outlook in Maidstone remains relatively good as over the last five years, the local property market was a lot more sensible than central London’s. Maidstone house values will remain resilient for several reasons. Firstly, demand for rental property remains strong with continued immigration and population growth. Secondly, with 0.25 per cent interest rates, borrowing has never been so cheap and finally the simple lack of new house building in Maidstone not keeping up with current demand, let alone eating into years and years of under investment – means only one thing – yes it might be a bumpy ride over the next 12 to 24 months but, in the medium term, property ownership and property investment in Maidstone has always, and will always, ride out the storm. In the coming weeks, I will look in greater detail at my thoughts for the 2017 Maidstone Property Market. 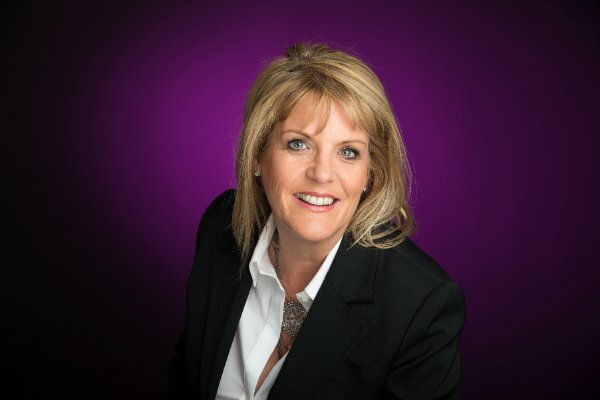 As always, all my articles can be found at the Maidstone Property Market Blog.If you are looking for an agent that is well established, professional and communicative, then contact us to find out how we can get the best out of your investment property. An Englishman’s Home is His Castle as Maggie Thatcher lauded - everyone should own their own home. In 1971, around 50% of people owned their own home and, as the baby-boomers got better jobs and pay, that proportion of homeowners rose to 69% by 2001. Homeownership was here to stay as many baby boomers assumed it’s very much a cultural thing here in Britain to own your own home. 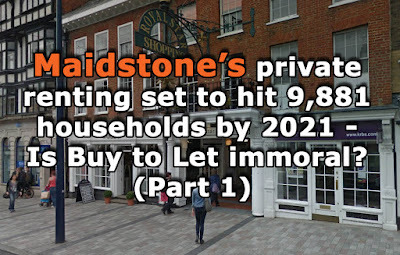 But on the back of TV programmes like Homes Under the Hammer, these same baby boomers started to jump on the band wagon of Maidstone buy to let properties as an investment. 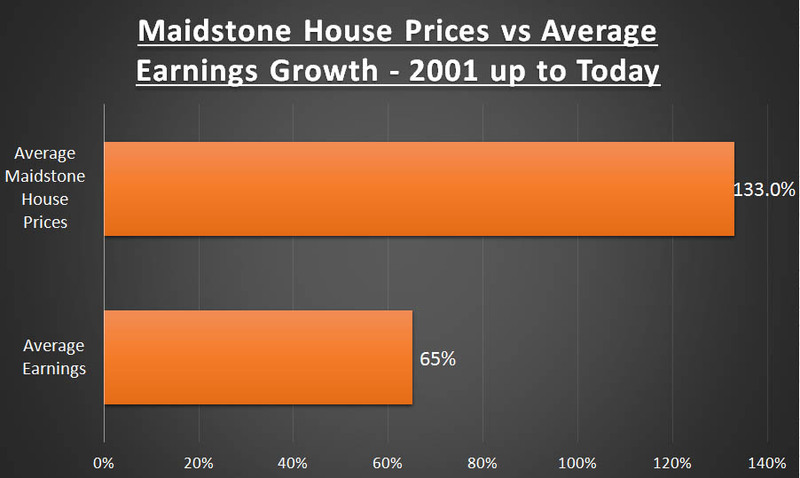 Maidstone first time buyers were in competition with Maidstone landlords to buy these smaller starter homes … pushing house prices up in the 2000’s (as mentioned in Part One) beyond the reach of first time buyers. Alas, it is not as simple as that. Many factors come into play, such as economics, the banks and government policy. But are Maidstone landlords fanning the flames of the Maidstone housing crisis bonfire? I believe that the landlords of the 7,008 Maidstone rental properties are not exploitive and are in fact, making many positive contributions to Maidstone and the people of Maidstone. 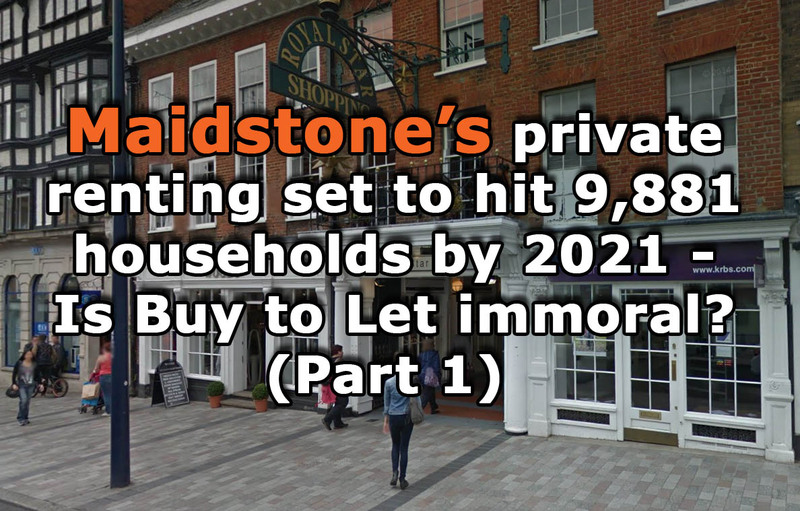 Like I have said before, Maidstone (and the rest of the UK) isn’t building enough properties to keep up the demand; with high birth rate, job mobility, growing population and longer life expectancy. For Maidstone to meet its obligation on the building of new homes, Maidstone would need to build 384 households each year. Yet, we are missing that figure by around 160 households a year. For the Government to buy the land and build those additional 160 households, it would need to spend £54,135,136 a year in Maidstone alone. Add up all the additional households required over the whole of the UK and the Government would need to spend £23.31bn each year … the Country hasn’t got that sort of money! 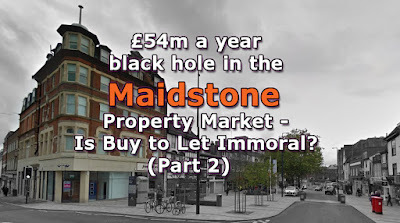 With these problems, it is the property developers who are buying the old run-down houses and office blocks which are deemed uninhabitable by the local authority, and turning them into new attractive homes to either be rented privately to Maidstone families or Maidstone people who need council housing because the local authority hasn’t got enough properties to go around. So only you, the reader, can decide if buy to let is immoral, but first let me ask this question - if the private buy to let landlords had not taken up the slack and provided a roof over these people’s heads over the last decade .. where would these tenants be living now? ….. because the alternative doesn’t even bear thinking about! Can we blame the 55 to 70-year-old Maidstone citizens for the current housing crisis in the town? Also known as the ‘Baby Boomer Generation’, these Maidstone people were born after the end of the Second World War as the country saw a massive rise in births as they slowly recovered from the economic hardships experienced during wartime. ...Yet some have suggested these Maidstone baby boomers have (and are) making too much money to the detriment of their children, creating a ‘generational economic imbalance’, where mature people benefit from house-price growth while their children are forced either to pay massive rents or pay large mortgages. The issue of housing is particularly acute with the generation called the Millennials, who are young people born between the mid 1980’s and the late 1990’s. These 18 to 30 years, moulded by the computer and internet revolution, are finding as they enter early adult life, very hard to buy a property, as these ‘greedy’ landlords are buying up all the property to rent out back to them at exorbitant rents ... it’s no wonder these Millennials are lashing out at buy to let landlords, as they are seen as the greedy, immoral, wicked people who are cashing in on a social despair. The three biggest influencing factors on the Maidstone (and UK) property market in the later half of the 20th Century were, firstly, the mass building of Council Housing in the 1950’s and 60’s. Secondly, for the Tory’s to sell most of those Council Houses off in the 1980’s and finally 15% interest rates in the early 1990’s which resulted in many houses being repossessed. 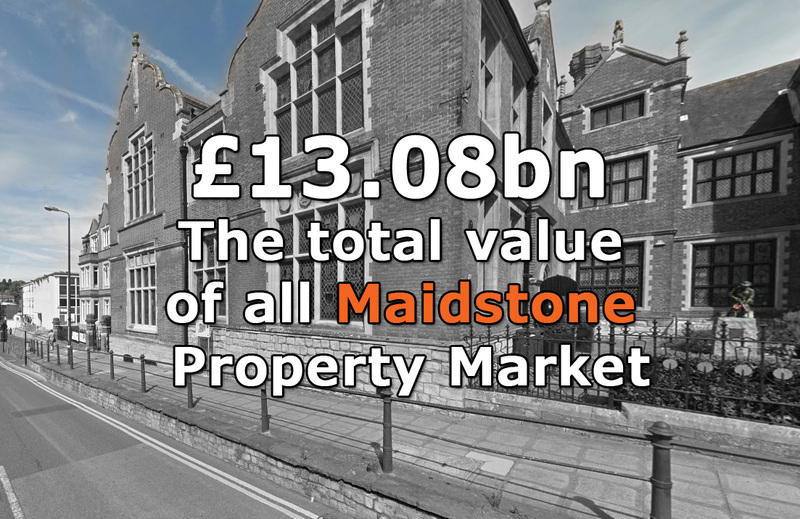 It was these major factors that underpinned the housing crisis we have today in Maidstone. So when we roll the clock forward to today, and we can observe those very same footloose banks from the early/mid 2000’s (that lent 125% with a just note from your Mum and a couple of breakfast cereal tokens), ironically reciting the Bank of England backed hymn-sheet of responsible-lending. On every first time buyer mortgage application, they are now looking at every line on the 20-something’s banks statements, asking if they are spending too much on socialising and holidays ... no wonder these Millennials are afraid to ask for a mortgage (as more often than not after all that – the answer is negative). Conversely, you have unregulated Buy To Let mortgages. As long as you have a 25% deposit, have a pulse, pass a few very basic yardsticks and have a reasonable job, the banks will literally throw money at you ... 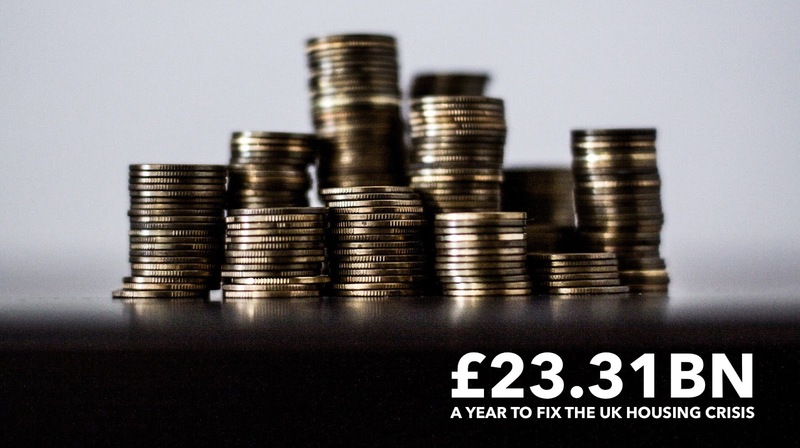 I mean Virgin Money are offering 2.99% fixed for 3 years – so cheap!